Sorry for the poor craftsmen ship on that map rework, I’m still working on getting Photoshop CS3 back on my computer, I just can’t find the copy I own right now [its buried somewhere in a pile of system software]. That aside, despite the fact that there are no achievements for it, there are actually Bonfires all across Northrend. They’re in rather predictable spots once your realize they are there [Save Borean Tundra and Howling Fjord]. You can start at Fizzlecrank Airport and work from there to make kind of a stretch around Northrend before finally ending in The large horde base in Dragonblight. This map purposely avoids flying over Wintersgrasp for the pure and simple fact that right now, you can’t without paying for a gryphon ride, and let’s be honest here folks, who in their right mind [save being lazy or fetching a burger] has actually talked to those Northrend gryphon masters since level 77? That aside, the Red Dots on the Map are actual Flames, I made a twist in Icecrown, but there are no fires [that I am aware of, looked for a while] that are actually up there. This is great because each Alliance fire is worth 5g some change, and each horde flame is worth 13g and some change. This is an easy way to replace a round of dailies [or add to it]. Also if you were having catching up on Flowers, this should put you much closer. I had 150 after buying the entire Outfit [400 Flowers in all] to do the pole dance achievement. This should put you back up around 250-275 so that it will be much easier to do the dailies and get enough flowers to buy your scorchling or Flame Brazier. And as Blizzard Stated, they are working on trying to get the fires in the old world working again. 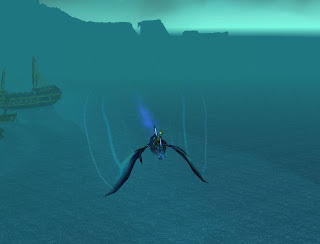 That aside, as a note to druids, if you want to play it safe, I’d do this series in Flight form, with the horde quest flagging you, you will be able to put out the fire without ever actually touching the ground [vs. a 3sec mount time for everyone else]. If you’re on a PvP server you should know very well already that if you have an excuse to use flight form to avoid combat, than you should. I’m going to take a shot at Solo’ing Ahune on Normal [my theory is that this shouldn’t be difficult, but you never really know]. I should have the results of that tomorrow. As a side note, when you are doing the catch 10 torch quest, I highly suggest finding some place quiet, I tried doing it in Darnassus only to discover there were way to many people and torches in the air. I found that Exodar works well, no one likes the place, and it’s got a pretty stable floor color so you can track the shadow.